Bob Dyson has a voice worth hearing especially as it relates to Southern California real estate. Bob Dyson is owner-broker of Villa Sothebys International Realty in Del Mar, CA (which may be San Diegos fastest-growing real estate firm) as well as Dyson and Dyson Sothebys in the Palm Springs area. Dyson’s regular As I See It columns are eagerly awaited by not only Sothebys savvy clients, but by countless real estate agents as well. Today Id like to take a deeper look at the state of real estate. Although its a brand new calendar year, I still see some negatives yet to come in ˜08. Insurance companies for years have been insuring the top end of residential real estate loans. Any loan over 80% Loan To Value (LTV) usually required the borrower to pay Private Mortgage Insurance (PMI). This insurance guarantees the lender that, if the borrower fails to pay mortgage payments and is foreclosed on, then the insurance company would pay the lender any losses they would incur. With the foreclosure market escalating, losses in these categories of insurance are climbing at an alarming rate. Insurers are claiming these loans are fraudulent – which triggers a clause in most PMI agreements with lenders. Lenders, of course, are arguing that the loans are not fraudulent. Meanwhile, liability to both lender and insurance company are climbing daily. As we get ready to experience more than $1 TRILLION (yes, with a T) of adjustable rate loans adjusting upwards, many are already preparing for the loss of their home. Some have even stopped making payments or have bought or rented elsewhere knowing their credit will be damaged. With every residential property sale usually two families move – one moves out and another moves in. This one transaction usually triggers some 1,000 other transactions within a community – from the purchase of everything from new furniture to linens to opening up accounts with dry cleaners and drinking water delivery. In an off market, every one who relies on these real estate transactions feels the ripple down effect that impact all sectors of the economy. These two issues alone are resonating across the country and are creating the worst case of No Buyer Confidence that I have experienced in my 40 years in the real estate industry. Government reporting is FINALLY catching up to reality and reports are reading that property values are hitting 5- to 20-year lows that have never been seen before in many US communities. As I mentioned in my last email, I have personally experienced some recent auctions in Southern California and Nevada and all of these auctions were well-run and well-attended. Attendees were qualified and ready to buy and, in general, these auctions sold out with many of the properties selling at MORE THAN retail value. Auctions have proven to me that property will return to home ownership and to investors much more swiftly than any downturn experienced in times past. Also this month, I have personally experienced what is happening in the hedge fund markets. I have met with hedge fund managers who, in many cases, are the same people who accumulated hedge funds from investors around the world for the loans now going into default. These fund managers are going to individual investors and are accumulating large pools of capital to be used by these funds to acquire defaulting properties in large bulk purchases. In some cases, hundreds of properties at a time. Our company alone has written letters of intent on several large blocks of residential properties for clients that will be purchased at significant discounts from the banks. The hedge fund-owned properties are then put back up for sale to the general public through either auctions or real estate firms with the intent of significant profit and gain for their investors. Congress is about to pass an increase in conforming loan limits. Conforming loans are home loans guaranteed by the federal government. This practice and the formation of the FHA (Federal Housing Administration – now referred to as HUD) began just after WWII to stimulate and promote home ownership. This was the beginning of the middle class in American in the late 1940s, and has afforded many families great wealth and financial growth. The current real estate market conditions are affecting the world economy for reasons mentioned above. A lot of very wise people are working on many models and scenarios that are aimed at fixing the current pandemic, while establishing some new guidelines that might assure that this will not happen again. The federal government and the Treasury are both really focused on this issue like never seen before. It takes this type of concentration by leadership to make change in a timely manner. Despite the negative issues mentioned above, and assuming some of the solutions I have mentioned, I believe that we will see a V shaped rebound of our economy rather than a slow U shaped recovery all to begin by 2nd quarter of ˜08 and expand rapidly throughout the year. * There is a lot of cash and good credit on the sidelines waiting for the bottom of this market. * Great real estate inventory is on the market everywhere. * Sellers more than ever have to sell. * Main Street and Wall Street are both more than ready, willing and able to make this problem go away. About the AuthorBob Dyson is the Broker of Dyson & Dyson Sothebys International Realty in Palm Desert/Palm Springs, and Garner Valley, Calif. and Villa Sothebys International Realty in Del Mar, Calif. With nearly 40 years experience in the Real Estate Industry, Bob has become an industry innovation leader. 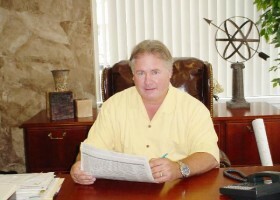 In addition to his many years in the brokerage industry, Bob is also involved in real estate mapping and development and currently has several thousand acres in various stages of mapping and development in Southern Nevada and Southern California. About the Company: Dyson & Dyson Sothebys International Realty and Villa Sothebys International Realty were founded in Southern California in 1988 under the name Dyson & Dyson Real Estate Associates. Offering a variety of unparalleled real estate services, the brokerage operates offices in the Palm Desert/Palm Springs area, and Garner Valley under the name Dyson & Dyson Sothebys International Realty and in the San Diego County area under the name Villa Sothebys International Realty.